I am alone again, walking with quiet prayers at the beginning of Lent. Trees tower over me, man-made planes glide above me and prehistoric stars shine upon me. 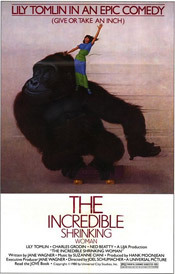 Here on earth, amidst all manner of beings, I realize that I am just one small person. Where do I fit in? What good can I do? 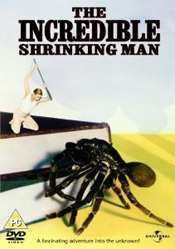 I am Scott Carey at the end of The Incredible Shrinking Man. A successful businessman, he spends restful weekends on the lake. One day his boat goes through a cloud of radioactive pesticides. Weeks later, he realizes his dress shirts are all too big. His wife thinks he’s silly, that no one shrinks in such a short period of time. She used to reach up to kiss him. Now they look each other in the eye. He continues to downsize and can no longer be a success in his job. His marriage suffers greatly from his condition. He moves out of their bedroom into the two-story dollhouse down the hall. Once he battled business executives; now he battles mice and spiders with a long spear fastened from a safety pin. He forages for leftover cheese in traps. He continues to shrink and questions his place in the changing world. I am very small. What good can I do? I am Pat Kramer in The Incredible Shrinking Woman. The parent of three, she lives in the Tasty Meadows subdivision where all her neighbors rave about the new products they just purchased. “Hey Pat, you gotta try Camper Clean.” “Hi Pat, have some of this Cheese Tease.” “Pat, you’ve got to get some of this stuff for your lawn.” She knows these products well because her husband’s agency wrote most of the advertisements. One day she is exposed to a strange combination of household chemicals, including Galaxy Glue. She begins to shrink and has to move into a dollhouse. Her husband and the product scientists can’t explain her condition. She reaches a stage where she can no longer fulfill her duties as a parent and a spouse. I am Kevin Flynn in Tron. He once created video games that are wildly popular and profitable. Unfortunately, a co-worker stole his programs and leapt above him to the top of the corporate ladder. 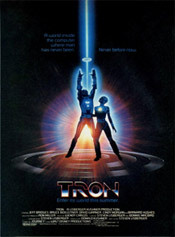 One night while searching for incriminating evidence against his rival, Flynn is digitized and transferred inside the company’s computer system. He sees for himself the vast Internet and social networks that connect hundreds of millions of people to each other. He meets other beings – software programs who fight against the oppression of the Master Control Program (MCP). Flynn joins the fight to break through the firewalls, defeat the attack forces and destroys the MCP, thereby opening the system and networks to all users. In the process, he restores his good name and career standing. I am very small, but during my walk, I realize what good I can do. My focus will no longer be centered on business. I will care less about new products and what the neighbors have. Instead of spending hours on social networks, I will be content with a good book in hand. No longer must I measure myself against others in this world. I turn inward and remember that I was once baptized and sanctified with the Living Water. I focus on little acts during Lent that remind me of that sanctification, that holiness. I fast, I pray, I confess. These little acts cleanse my soul and lift my spirits. I am very small; a tiny acorn nestled in the warm earth near the headwaters of God’s love. I trust in the truth that this everlasting love is for me. My soul bursts forth from the glory of this truth. My roots extend far and deep into the living water. With this endless, nourishing love, I grow tall through the seasons. My leaves stay green and provide cool shade to others. Though the earth is parched around me, my branches grow large and bear fruit for others to eat. If a boy needs my apples to sell for money, he can have them. Should he return for my branches to build a home, he can take them. If he wants my trunk to build a boat and sail away, he can have it. If he just wants to rest his weary bones on my tired old stump, let him rest. For I am happy. I am alive with God’s love. I no longer feel small.